The beginning of a new year is a chance to look back at where the industry has been and look ahead to the future. 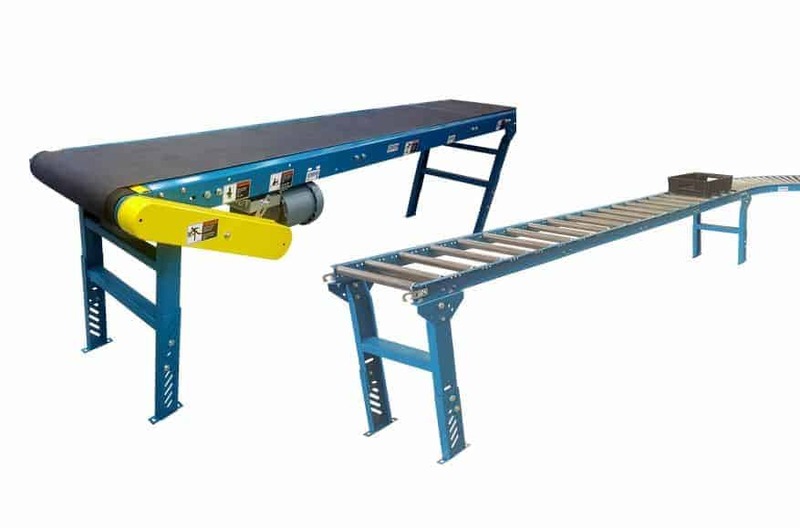 Ultimation’s engineering and sales teams recently discussed the conveyor manufacturer landscape and weighed in on their view of 5 conveyor design trends for 2019. The modern industrial workplace can be a busy and noisy place sometimes. So conveyors shouldn’t add to that. In addition to incredible energy efficiency, modern 24V DC powered roller conveyors that use either Itoh Denki or Interroll motor driven rollers are super quiet compared with chain driven conveyors. 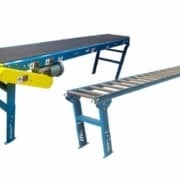 We see conveyor manufacturers replacing older style chain conveyors for automated conveyor systems at an increasing rate in 2019. Because they are low voltage and each individual motor has relatively low torque, people can often work in close proximity to the conveyors as well. 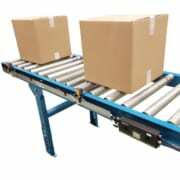 Conveyor manufacturers have long sought to use otherwise under-utilized industrial space for productive purposes. Conveyor design pioneer Jervis B Webb enabled the use of the overhead space above the factory for the modern overhead conveyor. But what about conveyors that use other spaces elsewhere in the supply chain that doesn’t get used as productively as they might? 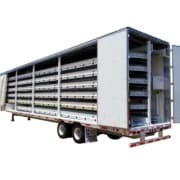 That truck and trailer driving next to you down the highway might just be a moving automated conveyor system on wheels. 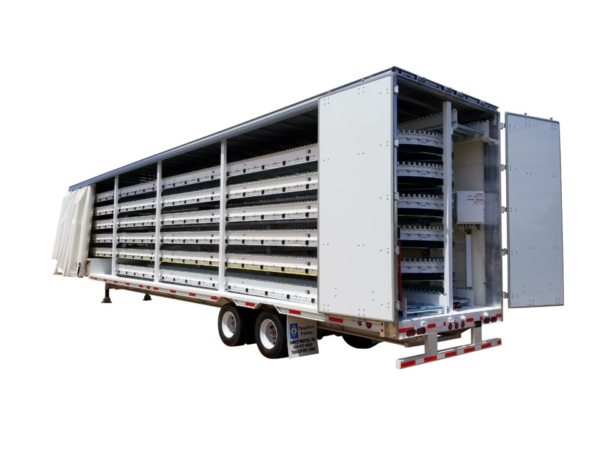 Ultimation’s innovative tire and wheel delivery trailers hold up to 800′ of powered roller conveyor delivering products to the Tesla assembly plant. 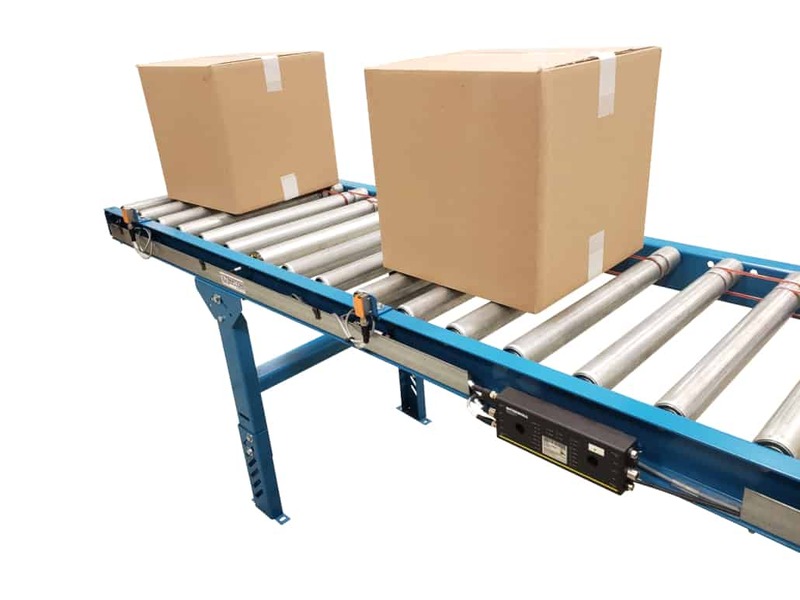 Conveyors make sure the products are loaded and unloaded quickly, always stay in the critical production sequence and the easily damaged top face of the wheel is always kept safe. Highly automated conveyor systems are great. Our engineers love to design and install them. But sometimes less is more. And while robots are very flexible, the tooling required to hold parts in position for robots is often more expensive than the robot itself. 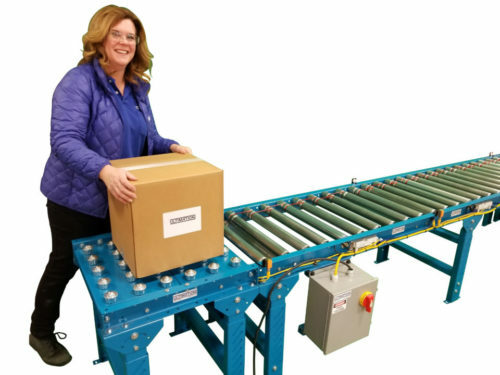 Lots of Ultimation’s customers are looking for conveyor types like simple belt conveyors or roller conveyors to get their productivity efforts moving ahead. Lean production, less walking, less bending — and less capital spending. Many of them ship the same day. The time spent commissioning large automated conveyor systems can be substantial. Speed it up with distributed, autonomous control. 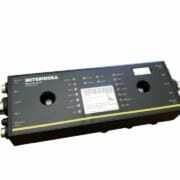 Distributed motor starter systems like the Rockwell Allen-Bradley ArmorStart range have been used by conveyor manufactures for years. Using 24V DC powered roller conveyors with network integration (Think “Internet of Things”) can reduce the time spent in the field for conveyor manufacturers and expensive controls engineers. 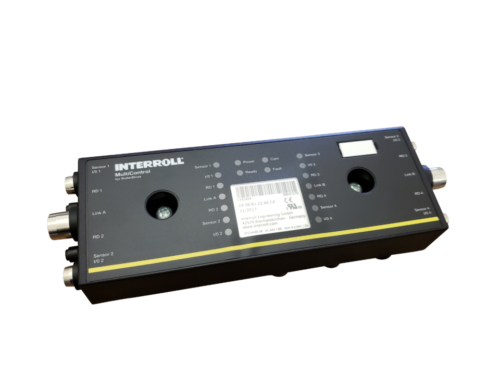 We especially like the new Interroll MultiControl Card and at under $200 it can control up to four MDR motors, link to various networking systems and provide its own pre-programmed distributed autonomous control routines. In layman’s terms, it can control the buffer and feeding of lines without needing an expensive central processor or lots of engineers. 5. Throw It Out, but Keep the Frames! The new year is a great time to clean up and to think about new equipment. But before you throw out that old gravity roller conveyor, did you know you can upgrade it to make it a motorized roller conveyor instead? Ultimation developed retrofit kits to convert existing gravity roller conveyor systems using both Itoh Denki and Interroll 24V MDR technology. We supply everything you need for the conversion including power supplies, motors, idler gravity rollers, drive belts, cables, and power suppliers. Some of our customers have miles of gravity roller conveyor they will eventually convert to motorized conveyors.